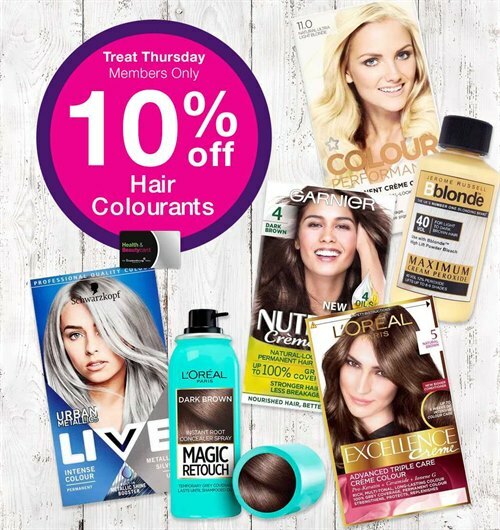 T’s & C’s must be included, they are as follows: *10% off selected Hair Colourants, members only. Offer only valid on 06/12/2018. This offer applies in conjunction with any other existing offer. Only available for registered Health & Beautycard members. Subject to availability.